Project cargo is the international transport of over-sized, large, heavy and high volume cargo. K International has several years of experience shipping project cargo including: factory dismantling and shipping, shipping large volumes of over-sized heavy construction equipment, and shipping several containers of equipment at once overseas. Below we go into detail about the individual international project cargo shipping services we offer to various ports of call throughout the world including Africa, Middle East, Asia, Europe, Australia, South America and more. Among the several international shipping services we offer for project cargo is factory dismantling and shipping. We can assist you with securing a rigging company to assist with the dismantling, cleaning and preparation of the cargo for international shipping. We will then have the cargo loaded unto a stepdeck or flatbed trailer for delivery to the port and international ocean shipping via container, flatrack, breakbulk or roll-on / roll-off service from the United States to the final destination. Our logistics team also keeps track of all pieces as they are dismantled and provides detailed and accurate record keeping to ensure that you receive all pieces on the other side. Factory and equipment dismantling is possible with the right rigging company and overseas shipping company. The above is a picture of a factory dismantle project we worked on from the United States to Korea. Have a large overseas building project and need heavy-duty and reliable construction and high-heavy equipment? Savvy overseas construction equipment buyers know – the USA has one of the most reliable markets for used heavy equipment machinery. We have moved several construction equipment pieces at the same time and have worked with very large machinery. 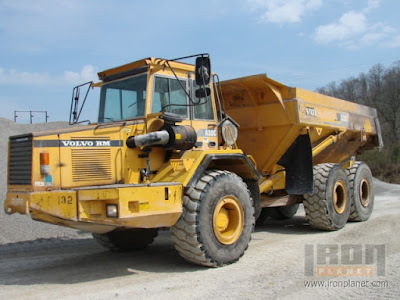 As we’ve mentioned before, high heavy construction equipment shipping is one of our specialties and we provide some of the best and most affordable heavy equipment shipping services from the United States. This is a serious heavy-duty articulated dump truck ! We provide the best in international heavy equipment shipping. Only trust freight forwarders and overseas shipping companies with experience dealing with oversized cargo. We also handle project cargo shipping in ocean containers. We mentioned how we can help you dismantle factories and move large volumes of heavy machinery, but what happens to all those spare parts and smaller items that you will need shipped also? This is where ocean container shipping is very useful! We will make sure that all pieces of equipment are dismantled and shipped whether it’s a big piece or a small piece. For more information on the how we handle construction equipment shipping visit our “High-Heavy / Construction Equipment Shipping Information” page. To receive rates for heavy construction equipment shipping visit our rate request page and we will respond to you within 1-2 business days.